The philanthropic program’s support was distributed through more than 220 grants to nonprofit organizations over a period of almost three years. Ninety percent of the funding was allocated to social welfare and health programs, while the remaining 10% was distributed to education and arts and culture programs. About 80% of the grants were directed towards combating social exclusion, supporting overburdened households and providing food aid to underprivileged social groups. Equally important, the grant Initiative supported the preservation of health standards through emergency, relief and healthcare services, offered employment services and provided temporary accommodation and housing. It also provided access to educational and cultural programs for underprivileged groups. The majority of the grants were distributed in Attica and Central Macedonia, where most Greeks live, but the program served all regions of the country. More than 470,000 people benefited from the grant program, including the following: Children and Youth (individuals from 5 to 25 years old in a vulnerable situation); Adults (vulnerable individuals older than 25); Elders (senior citizens either in a vulnerable socioeconomic situation or having reached an age that makes them vulnerable); Families and Caregivers (households and families below the poverty level or from other vulnerable groups); Immigrants and Refugees (foreign individuals seeking asylum or having a limited residence permit); People with Special Needs/Disabilities (individuals with severe mental or physical disabilities that make them vulnerable or socially excluded or in need of healthcare services); People with Chronic Diseases or Addictions (individuals who suffer from chronic or terminal diseases, substance addictions and may be in need of healthcare services). The SNF funding created or sustained 3,000 jobs and had an economic impact more than double (2.23) the amount of the grants. In addition, the grant Initiative helped grantee organizations leverage additional support from other donors. On a scale of 1 to 10, grant recipients rated at 7.2 the boost that SNF funding provided in helping them to attract additional support. More than 90% of the Initiative’s grants were reported to have contributed to ensuring the grantee organizations’ financial viability. For each supported sector, the report analyzes the beneficiaries, the amount of support, and the type of support provided to the grantee organizations (program support, operating expenses, equipment and vehicles, or construction and renovation) as well as the needs addressed. The provided services include the following: food aid provision; counseling and psychosocial support; support for living expenses; residential care; emergency and relief; temporary accommodation and housing; employment, training and volunteerism; community development and awareness. The report also provides examples of those services: In food aid provision, for instance, Prolepsis Institute, with the SNF’s support, served daily meals to more than 80,000 students across Greece, reducing food insecurity, improving nutrition habits and strengthening social cohesion within schools. In counseling and psychosocial support, as another example, SOS Children’s Villages provided assistance to families in extreme poverty, with emphasis on educational and psychological support and support in kind. 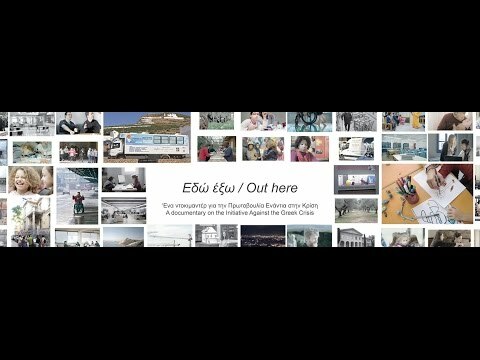 In conjunction with the Deloitte report, SNF presented a documentary in Athens on February 24th introducing representative examples of organizations supported under the grant Initiative. The aim of the documentary is to present the Initiative’s impact on the broader Greek society by showcasing real-life stories of people who received practical support in the midst of the crisis. While the Foundation’s Initiative against the Greek Crisis has come to a close, the SNF continues its grant-making activities in the fields of Social Welfare, Health & Sports, Education and Arts & Culture, while simultaneously focusing its attention on a new grant initiative entitled Recharging the Youth, a program also totaling $130 million (€100 million), which is aimed at combating the alarmingly high youth unemployment rate in Greece.